Alameda is a converter and distributor of digital printing media, mainly in the Southwestern United States. Felix Schoeller North America is a wholly-owned subsidiary of the global Felix Schoeller Group, a manufacturer of imaging products for professional, commercial and home printing applications. 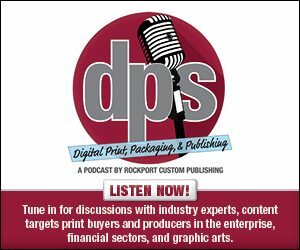 Headquartered in Pulaski, New York, Felix Schoeller North America has been servicing the analog and digital printing markets as well as the pressure sensitive adhesive industry with papers, films and specialty substrates for more than 50 years. The operation in Central New York has served as the industry-leading converting, fulfillment and distribution hub for North America. “The acquisition of Alameda is an important milestone in the strategic development of Felix Schoeller in North America. Over the last 15 years, we have been able to consistently grow our sales and operations footprint. Adding a new converting and distribution plant on the US West Coast will not only add incremental production capacity, but enables us to be a more competitive player across the entire continent”, says Michael Szidat, president of Felix Schoeller North America. “Alameda – A Felix Schoeller Company” will continue to offer their existing portfolio of imaging products and brands. In the coming months, however, these will be complemented by the full portfolio of Felix Schoeller – made products. The result will be the most comprehensive portfolio of digital printing solutions manufactured at two of the most advanced Converting & Distribution sites in the Industry.